Tivoli Habitat Centre, Greater Noida, Delhi is a beautiful space for organizing your wedding and reception. The venue is a nice place to organize your pre-wedding functions like mehendi, sangeet and engagement ceremony. Tivoli Greater Noida is ideal to host small functions like birthdays, anniversaries and family get-togethers. It is located near famous Greater Noida Stadium which is a well-known place among the locals. Habitat Centre Noida has vast lawn is the ultimate choice if you want to host a grand reception party. It has small banquet halls which are ideal for intimate functions. Tivoli Banquet Hall Greater Noida serves mouthwatering multi-cuisine delicacies to choose from in both vegetarian and non-vegetarian food. The venue has luxurious rooms for the guests which gives them a comfortable stay. When you host your event at the Tivoli Habitat Centre, Greater Noida, Delhi the staff ensures that you and your guests have an enjoyable time. Tivoli is one and only brand banquet hall in gr. noida.the decoration part of this venue is very unique.as per a brand its food is very delicious. 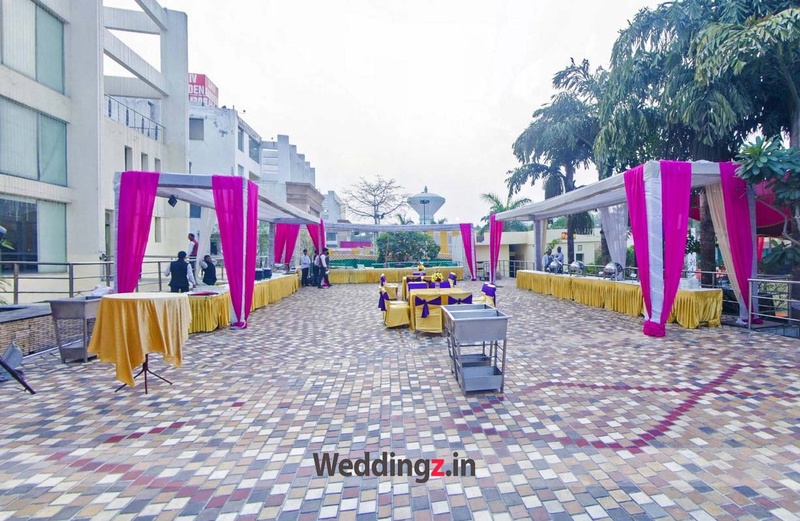 The Tivoli Habitat Centre located in Greater Noida, Delhi has Wedding Hotels, Banquet Halls and Wedding Lawns. Basement Hall can accommodate upto 50 guests in seating and 100 guests in floating. Lawn can accommodate upto 600 guests in seating and 1500 guests in floating. First Floor Hall can accommodate upto 50 guests in seating and 100 guests in floating. Vegetarian and Non Vegetarian food is served at this venue. Features of this wedding venues are : Food provided by the venue , Non-Veg allowed at the venue , Alcohol allowed at the venue , Outside alcohol allowed at the venue , Halls are air Conditioned , Ample parking , Baarat allowed , Hawan allowed , Overnight wedding allowed , Decor provided by the venue , Packages starts at Rs 1400 per plate for vegetarian menu and at Rs 1600 for non veg menu. Decoration starts at Rs 75000.